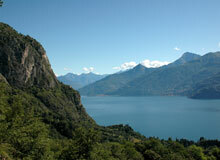 Lake Como's mountains are great for hiking, and each hike will reward you with a new perspective of the Lake. A short hike up a well maintained mountain path to a little church that is propped on a small mountain plateau, this 45 minute hike up delivers spectacular views of Lake Como and especially the peninsula of Bellagio. It's a perfect place for a panino, a bottle of wine, and a nap. It should not be missed. 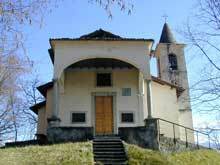 More information on the hike to San Martino. This is an enjoyable mountain hike for those that enjoy spending a day walking in the mountains and taking in the views. 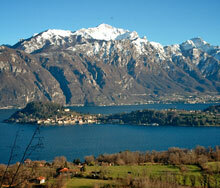 Of moderate difficulty, the hike up to Monte Nava rewards you with spectacular views of Lake Como all along the way. Ideally you want to do this hike on a clear blue day that is not too hot. 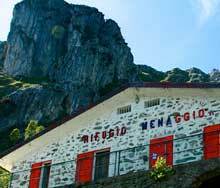 More information on the hike to Monte Nava. A hike to the summit of the Grigna is a wonderful outing for those that love mountain hiking. It will reward you not only with spectacular views, but also a great sense of achievement. More information on the hike to Grigna. 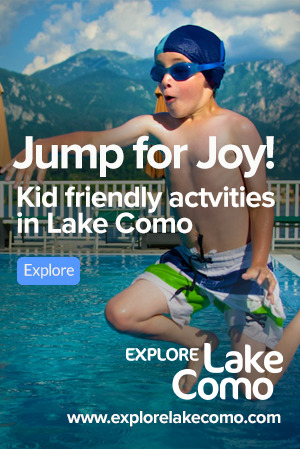 Join our mailing list to receive occasional updates about Griante and Lake Como, reviews of restaurants that are off-the-beaten-path, and tips about travelling in Italy. We never spam or give this address away.